Do you need a lovey for a baby or little one in your life? Sure, you can buy a lovey, but why not crochet one instead? 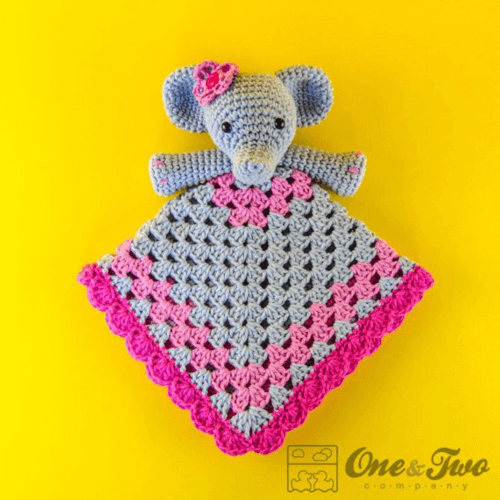 We’ve found a great pattern for an adorable crochet elephant lovey that you really should check out! To find out more about this wonderful pattern, keep scrolling! If you’re not familiar with the term “lovey,” a lovey is a comfort object for a baby or toddler. Babies often attached to an object to help comfort themselves at bedtime or naptime. Sometimes it may be a stuffed animal or security blanket, or like my niece, a cloth diaper (clean and never used as a diaper, of course). All babies are different in their choices. Loveys can be very helpful during sleep training and travel. As well as moving to a new place, the addition of a new sibling, and other big life changes. What I love about this crochet elephant lovey is that is combines stuffed animal and security blanket into one object! How great is that? And it is super cute to boot! 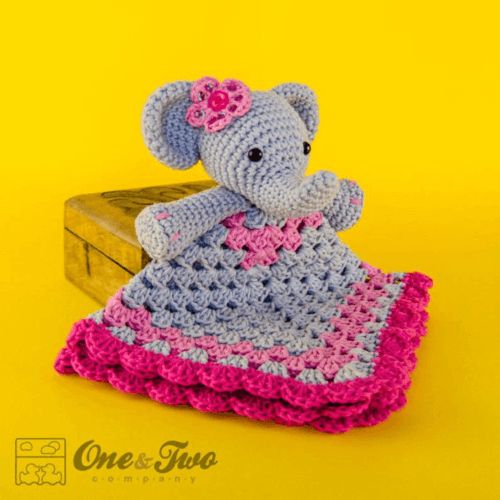 This crochet elephant lovey pattern by One and Two Company is absolutely adorable. It begins with the head and arms of an elephant and transitions into a security blanket. You can change up the colors as you like for the little one you’re making it for, be it pink, blue, yellow, green or rainbow! While the pattern calls for button eyes and a button middle for the flower on the elephants head, I would suggest crocheting those parts instead for safety for babies and toddlers. 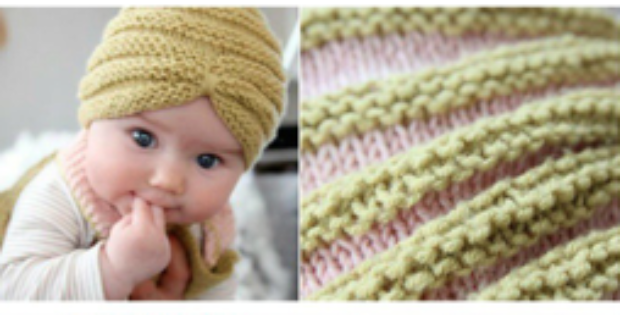 Crochet eyes are easy enough to make and many moms would prefer those to button eyes. To crochet eyes, you begin with a magic circle. Work 6 single crochet stitches into the magic circle and join with a slip stitch. Then using thin white yarn or crochet threate and a yarn needle, bring the needle up through the center of the circle and then around the outside of the circle. Repeat 3 or 4 times. Tie the ends together at the back of the circle. Then crochet a black border around the entire circle to finish it off. Sew the eyes on after stuffing the head. Use your imagination to add eyelashes and eyebrows if you would like. Fold the blanket in half twice to create a “diamond.” Mark the center of the blanket with a stitch marker. Attach head to center with two stitch markers. Use the tail at the bottom of the head to sew the head to the blanket. Pull yarn needle through the blanket center where your stitch marker is and back up through the bottom of the head where the marker is. Sew all the way around the head at least twice. Remove the stitch markers after the first time around. Fasten off and weave the remaining tail through the underside of the blanket. For the arms, attach them using stitch markers on both sides of the head. Sew the arms in the same manner as you did the head. Sew arms to the head as well at the bottom. There you have it! 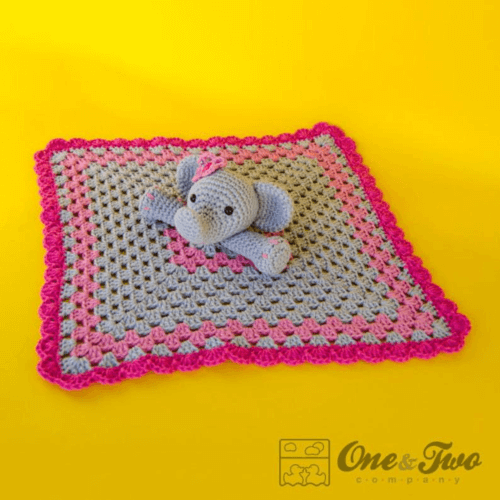 A great pattern for a crochet elephant lovey as well as some tips to make it easier. There is also a combo pattern with the lovey and a matching amigurumi elephant that is really cute together. 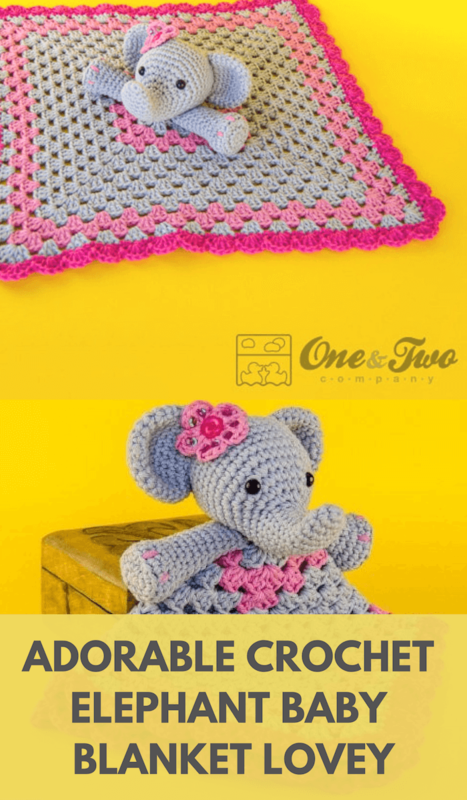 If an elephant isn’t your favorite animal, you can also check out the many other lovey patterns by One and Two Company. We hope you enjoy making your own crochet elephant lovey for a little in your life!